SHARPSBURG, Maryland – U.S. 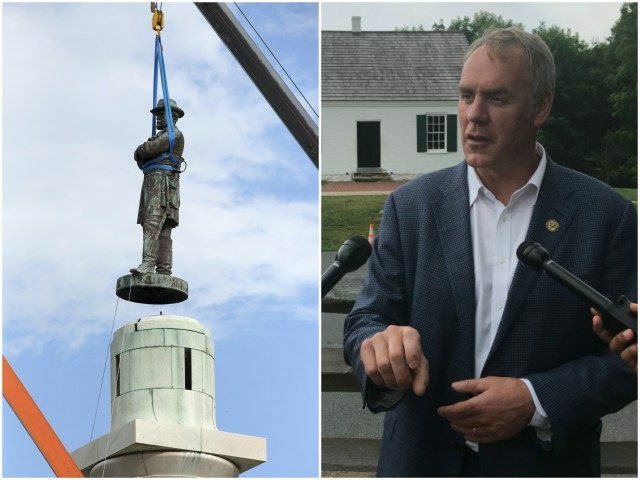 Interior Secretary Ryan Zinke told Breitbart News that “history is important” and it should not be rewritten when asked about those attempting to destroy or remove Confederate monuments while touring Antietam National Battlefield on Wednesday in western Maryland. Zinke was at Antietam to announce that President Donald Trump’s first quarter salary will help restore the historic battlefield.